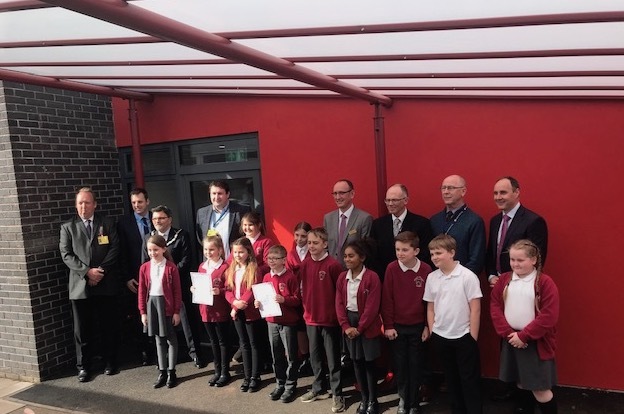 Pave Aways’ Managing Director Steven Owen and Business Development Director Paul Moran joined parents, pupils, governors, council and town officials at the event. We completed the work last year and the classrooms have been in operation since the beginning of this academic year. They were built to meet the increased demand for school places resulting directly from the increased housing development in the town. Read more here.